It’s been 15 years since mobile phones started to find their way into people’s pockets and handbags, and with the demand over the year’s rapidly increasing, mobile phones have evolved into something spectacular! 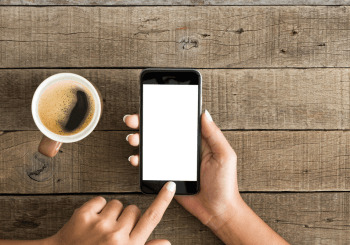 Unlike the old Nokia 3210, popular mobile phones like the iPhone are now compact, flat and sleek with everything accessible through an easy-to-use touchscreen. In addition to this, the iPhone is very attractive and has a user friendly interface which both contribute to why this gem is so popular. With the iPhone, you get full internet capabilities, GPS, email, an integrated iPod and of course the App Store. The App Store is feature available to all iPhone owners and we recommend you definitely take advantage of it! On the App Store you’ll find tonnes of apps all offering different things, which can be downloaded and kept in one handy place. Whether you're wanting an app for fitness, gaming, astrology or your car, you’ll certainly find if on Apple’s App Store which currently holds around 1.6 million apps. In this article we’ll take a look at the top iPhone applications available for your car. These however are not your average apps, as they’ve been designed around motor vehicle operation, and cover a variety of different features and functions. Some offer practicality, while others provide the driver and passengers with lots of fun! Dash cameras are increasing in popularity across the UK but for some drivers they’re too costly. This free app allows you to turn your phone into a dash cam, so you can record journeys and save the cost of having to purchase one. Recording your journey gives you an extra security blanket in the event of something bad happening, so if anything should happen you’ll have it recorded on video as evidence. When driving on roads in the UK, an extra set of eyes will always come in handy, especially with speed cameras and police traps everywhere. This clever app locates and warns you about speed cameras and gives you the latest updates on radars and police traps in real time. The app simply displays your driving speed, the road you’re currently driving on, and warns you of any upcoming cameras. We recommend using this app if you're a long journey commuter, who is forever embarking on lengthy drives in unfamiliar places. The AA app contains everything you need in one simple easy to use app. It includes a journey planner with live updates, and a fuel price checker which lets you know where has the cheapest fuel prices near to you. If you're an AA member and you happen to break down, you can alert them through the app and they will locate you and send someone out to help. Do you have to put up with impatient children on long journeys? This app will help keep your kids entertained and get the whole family involved together. On the app, you’ll find games like I-Spy and trivia questions based on your route journey and location. If they get bored quick, there are lots more games on the app to help your long journey pass quickly with lots of fun. This app is great for drivers who are keen to keep their eyes on the road. Navier HUD uses the light from your smart phone’s screen to project a route or speedometer onto your windscreen, saving you from having to take your eyes off the road. The projection is transparent, and doesn't obstruct your view so you can see the road clearly. The app allows you to personalise what’s projected onto your windscreen including average speed and distance travelled, and you can place it wherever you like on the screen. This Plugshare app is perfect if you have an electric car! Sometimes for electric vehicle owners, it can be difficult to find somewhere on route to charge your electric car, but with Plugshare you can easily allocate the nearest charging point. It's the largest charging point locator app available, and it can search for hundreds of points around the UK and can even tell you if it's the correct type of charging point for your electric car. The world’s largest parking app, Parkopedia makes searching for a parking spot a thing of the past. This clever app will locate the nearest available parking space, and give you directions to the free spot. It can also provide other information such as parking costs. This car app is great if you don’t have parking at work and are constantly trying to find free spaces around the city.